Suddenly Royal is a predictable story. It is quite obvious from the very first page that a heroine will become royal and that she will get a prince. But, that does not mean that it is a boring story! On the contrary, Suddenly Royal was a fun and satisfying read. 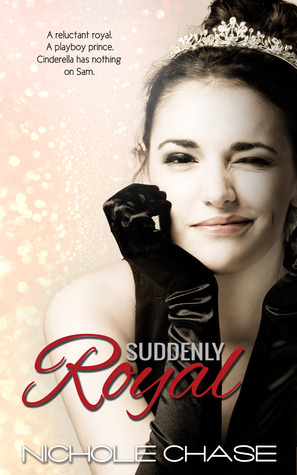 The plot and premise of Suddenly Royal is very simple. Samantha Rousseau (the heroine) is a poor student with a sick father. She is fighting to keep her head above water. Suddenly she finds out that she is of royal descent. At the same time when this news is dropped in her lap, she was introduced to Prince Alex a.k.a. Prince Yummy. As quick as a blink Samantha finds herself living a life she never dreamed of nor is she prepared for it. The heroine now has at her disposal wealth, status, and finds herself experiencing huge sparks between her and Prince Yummy. Suddenly Royal has two intertwining stories. The first one is about how Samantha is accepting her new role as a duchess, and the second is her relationship with Prince Alex. Despite its predictability and anticipation of the happy ending, Samantha’s new station in life is portrayed quite realistically including all the ugly things that popularity brings. Besides that, this story features great and realistic characters. Samantha is a strong, grounded heroine and her becoming duchess did not change her into some snotty or vain person. Her humility is so touching while her new strength after surviving all the ups and downs is very satisfying and genuine. Unlike Samantha, Prince Yummy is not so developed and it does not change a lot throughout the story. Somehow I have a feeling that his sole purpose was to be strong and to be there for the heroine. Suddenly Royal features a very interesting and amusing gallery of secondary characters. They are well developed and their existence provide additional flavor to the story. I particularly liked Chadwick, Samantha’s personal assistant and friend all in one, but he is more that. For me he was really something special in this story. Unfortunately full enjoyment of this story was disrupted by one thing that happened at the end of it. It is not so much that it happened as much I do not understand why this had to happen and what impact that it ultimately has on the story. Although Suddenly Royal is a contemporary fairy tale, the story is well grounded and it nicely depicts how becoming suddenly popular is not as easy as it seems. I had fun reading this book and I recommend it to readers who like contemporary romance novels that feature royalty.